Do you love the unique clothing, crafts, home goods, baby items, and sheer variety of awesome items on Etsy? I know I do, but sometimes the prices for these cool items can be a little steep for my liking. Fortunately, with the arrival of daily boutique deal sites, we are able to find many similar items for a fraction of the cost..sometimes at 90% or more off retail. In fact, a lot of sellers on Etsy also sell on the boutique sites at discounted prices! Now we can find, and afford, a world of treasures! The 10 sites that I have listed below are ones that I feel have the best variety and best prices for the items that they offer. 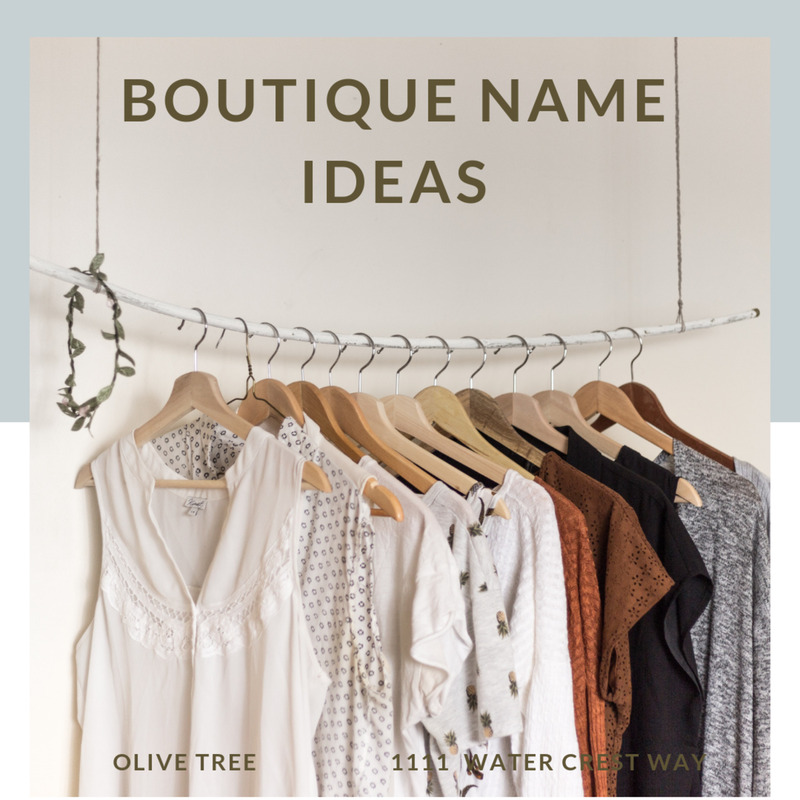 This article focuses on BOUTIQUE items. 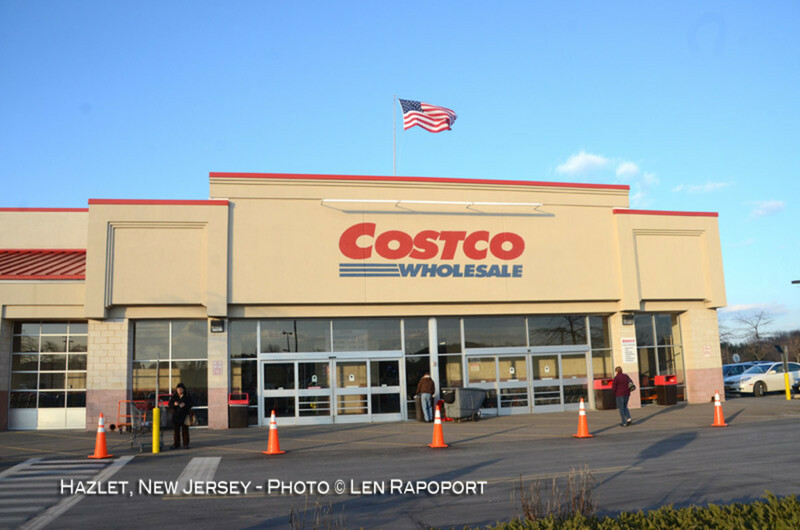 To find other, more mass-produced items, check out my article on The Best Daily Deal Sites. Enjoy and happy shopping! Jane.com is by far my favorite boutique deal site. 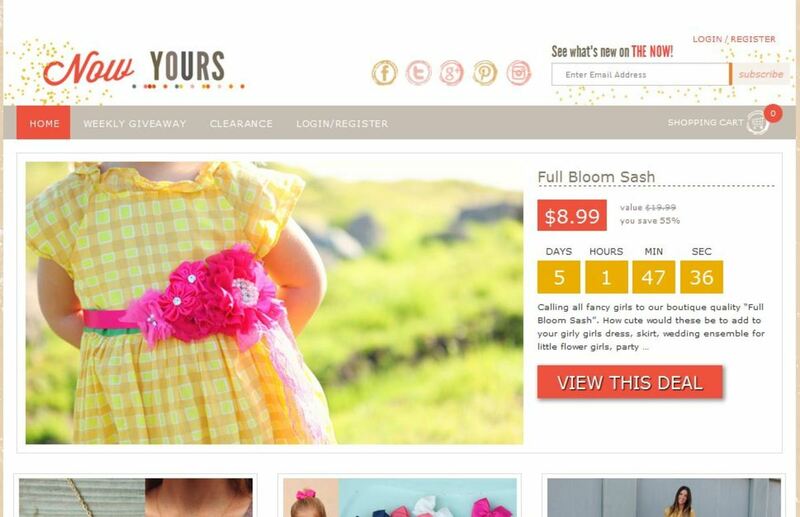 They have separate categories for accessories, baby, clothing, home décor, kids, and miscellaneous. The site usually has over 100 deals at any one time. The photos on each screen give a quick display of the item, percentage off, amount sold, and time remaining. Deals range from 10%-95% off with most deals over 50% off. Find a range of products including, jewelry, clothing, scarves, toys, makeup, baby shoes, baby clothing, pillow cases, monogrammed items, electronics, and much more! 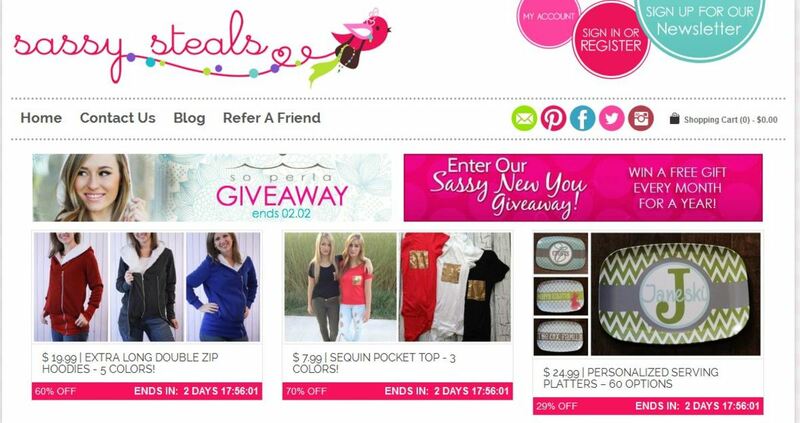 Sassy Steals is a site that also offers a wide selection of products. 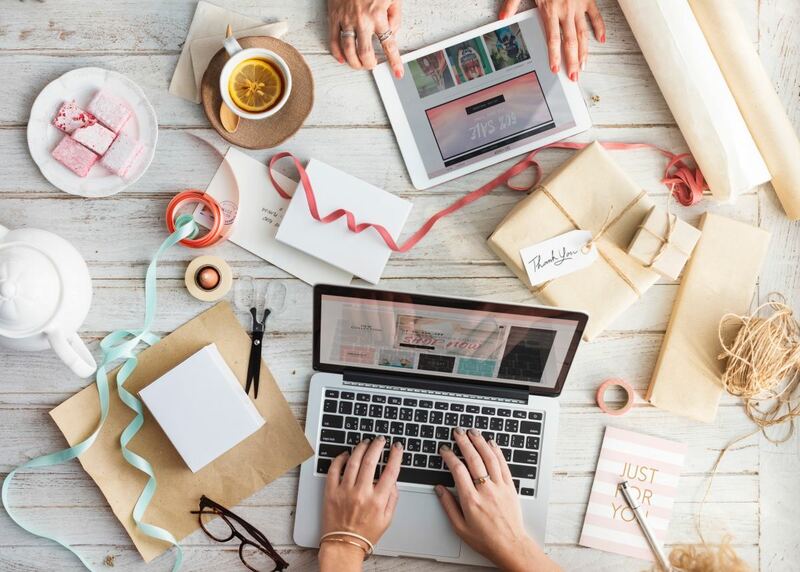 Some of these products include clothing, jewelry, monogrammed housewares, kids items, party decorations, gifts, electronics, makeup, art, and more. Discounts are comparable to Jane.com with percentages off ranging from 15%-90%. While the selection is not quite as large as Jane.com, Sassy Steals offers reward points, called "Sassy Points" for friends that you refer. Once you reach 100 points, you get a $10 off coupon. Additionally, the site will sometimes send you a 10% off coupon when you sign up for their newsletter. The site also does monthly giveaways. 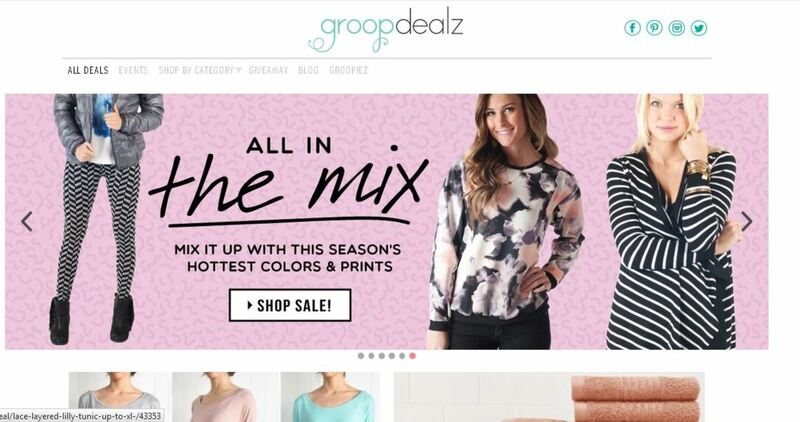 The GroopDealz site includes items in the categories of fashion, jewelry, home décor, kids, boutique, and best sellers. There are generally 50+ deals on the site at any one time with deals as good as 90% off. Additionally, this site occasionally will offer coupon codes on their main page slideshow with additional discounts. 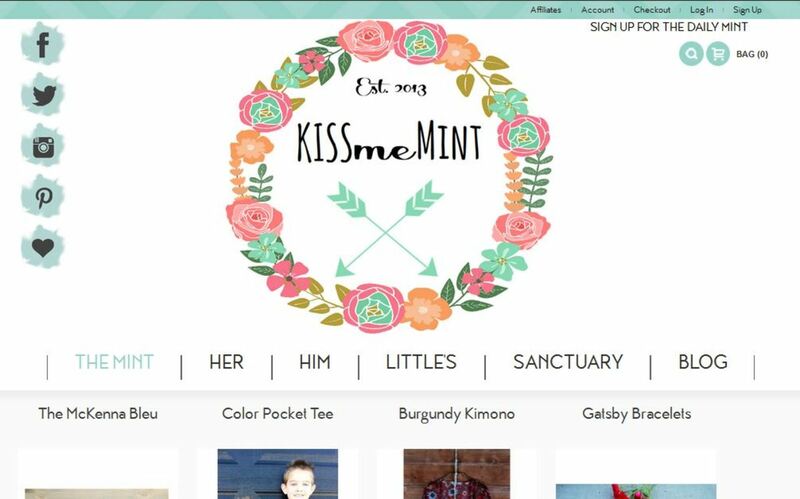 The Kiss Me Mint site is separated into categories for Her, Him, Littles (Kids), and Sanctuary (Home). Products include clothing, accessories, party supplies, home décor, toys, personalized items. The site generally has 50+ items available at any one time, however, the selection is largely women's clothing and accessories. The site runs periodic giveaways. 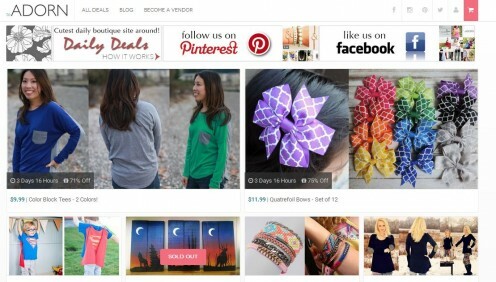 toAdorn offers a selection of handmade, fashion, home décor, and boutique items. New deals are posted each day at Midnight MST and last for 3 days or until they are sold out. While the daily selection is not as large as some of the other sites, they offer a variety of products. Deals seem to usually be at least 30% off with many over 70% off retail. 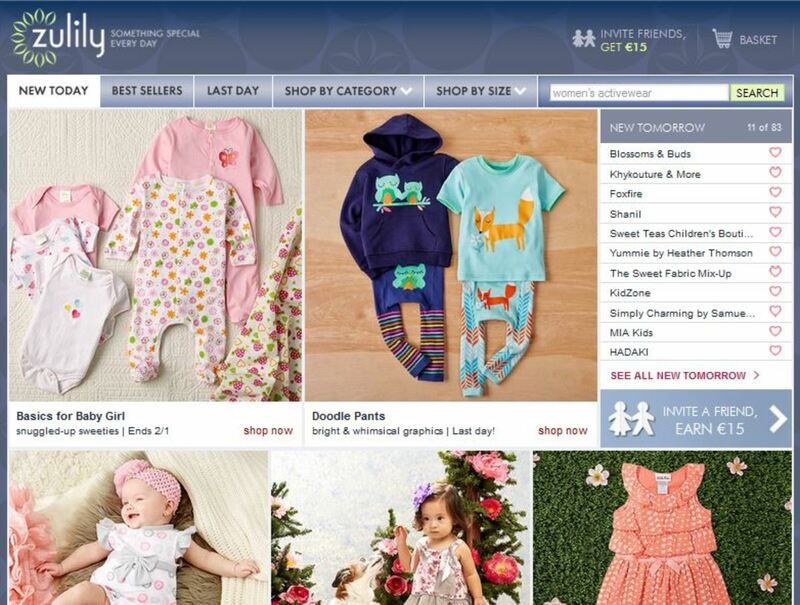 While Zulily is a daily deal site, it is a bit of a hybrid site between traditional daily deals and boutique offerings. Products offered range from big name electronics and clothing brands and lesser-known companies offering hand-crafted accessories and jewelry. Products are primarily home décor, woman's items and baby items. There are hundreds of items to choose from on the site at any time along with a search bar to help you find what you need. Since this site offers big-name brands, the deals are not as good as on some of the smaller sites. However, you can earn $15 in credit for each friend that you refer who purchases from the site. 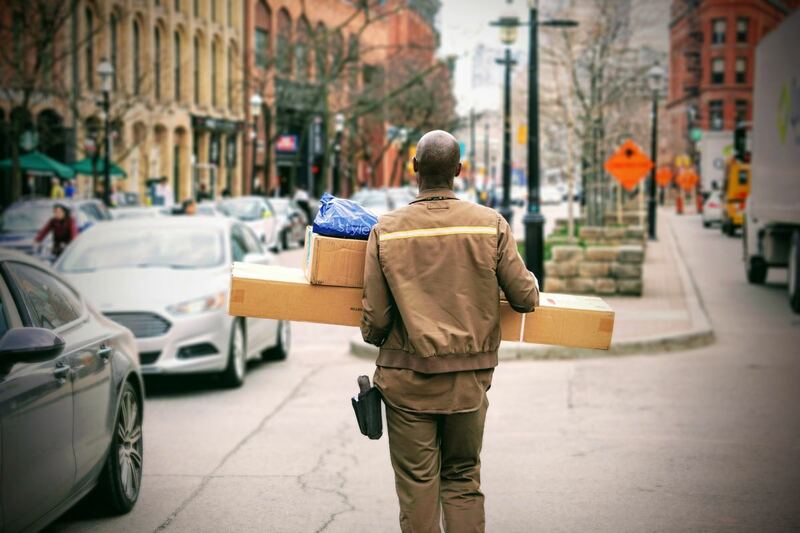 Also, if you are looking for a larger item or item from a particular brand, you will still usually find it cheaper than if you go to a major retailer. Pick Your Plum starts new deals daily at 7:00 AM mountain time. Their deals include clothing, accessories, party supplies, craft supplies, home décor and some random gift items. Some items can be monogrammed or personalized. The site offers around 20 deals at any time and deals are usually 50% off or more. Additionally, you can get a coupon for 10% off your order by signing up for their daily newsletter and you can earn added discounts by referring friends. PinkEPromise is a unique site in that a portion of every sale made is donated to the Breast Cancer Foundation. The site offers flash deals on hand-crafted and boutique items. The main items are jewelry, accessories, home décor, electronics, and kids clothing and accessories. The site usually has between 30-50 deals going at any one time. The deals are not quite as good as some of the other sites, however, sometimes you can find coupon codes and the added benefit of the donation of the Breast Cancer Foundation can make the purchase worth it. Know of More Great Flash or Daily Deal Websites? If you have a favorite daily deal or flash site that offers boutique, handcrafted, or home-made style items, I'd love to know. 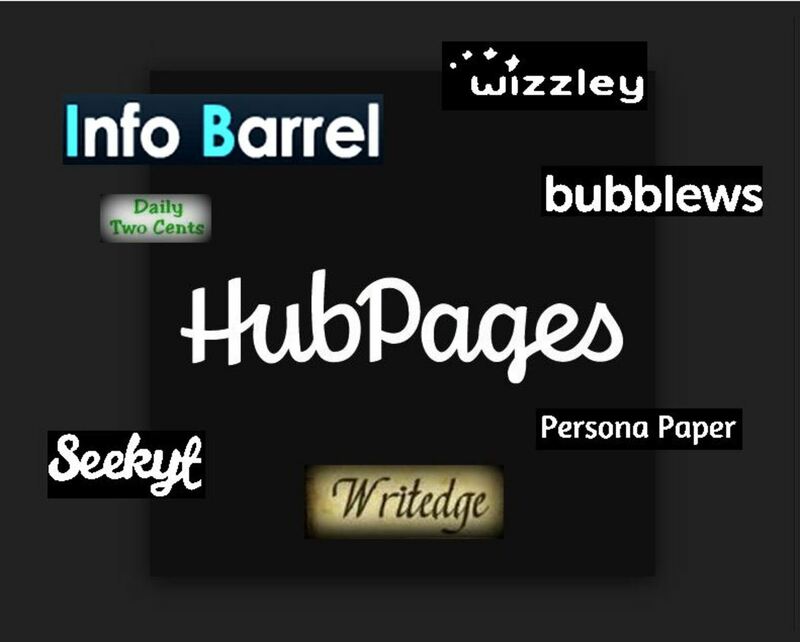 Also, feel free to share your opinions on any of the sites mentioned above. I hope they help you to find some unique treasures for yourself and great gifts. Happy shopping! Great sites for online shopping. I've heard of Zulilly and not the rest. Voted up!